White and strawberry cake with vanilla buttercream icing. 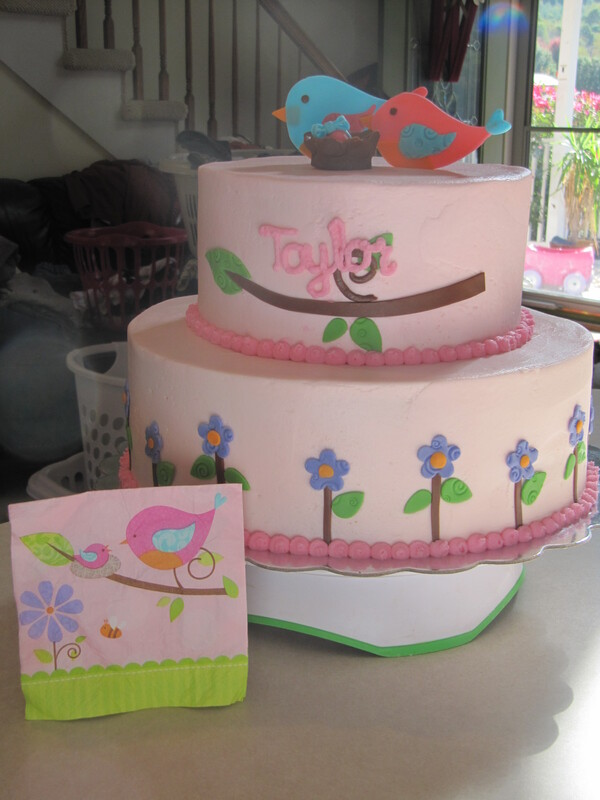 Birds, flowers, branches, leaves and bows are made from fondant. It is made to match the babyshower decor.